Meanwhile, Icarus Interstellar has announced its own Starship Congress, which is taking place at the Hilton Anatole in Dallas on August 12-18. A call for papers is now open with abstracts due on July 15. Project Icarus is a four-year design study of an unmanned starprobe, which was initiated by the British Interplanetary Society and the Tau Zero Foundation. Project Icarus was inspired by the Project Daedalus study, which the British Interplanetary Society conducted in the 1970’s. The Helius Experiment is an investigation into laser-initiated fusion propulsion. Project Tin Tin is a study of an interstellar CubeSat mission to Alpha Centauri. 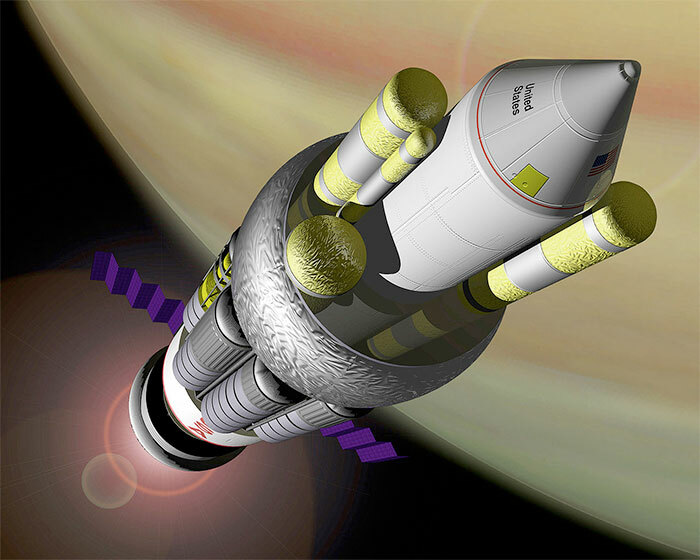 Project Forward, named for the late physicist Dr. Robert Forward, is reexamined beamed-propulsion and solar-sail concepts for interstellar missions. The X-Physics Propulsion and Power Project (XP4) is examining various theoretical concepts for Faster Than Light travel. Project Bifrost seeks to nuclear-fission propulsion, in the short term, and nuclear fusion in the long term. 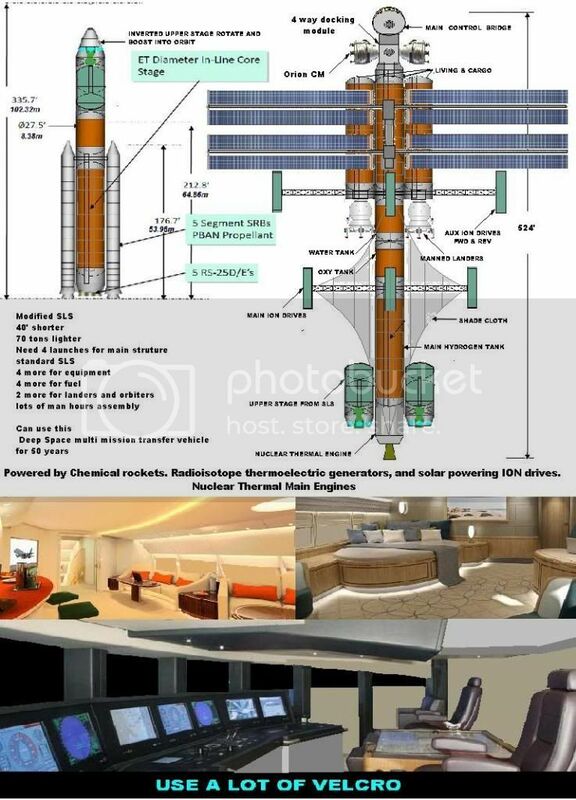 It advocates for nuclear propulsion on Capitol Hill, promotes international cooperation and open dialogue, promotes awareness of nuclear propulsion in the media, and conducts basic research. It is currently pursuing funding for demonstrator projects. Project Hyperion is a conceptual design study for a manned starship. Project Persephone is a study of living architectures that are applicable to future starships, terrestrial cities, and space settlements. Icarus Interstellar was a major player in last year’s 100 Year Starship Symposium, so it might seem odd that Icarus would be holding its own event just one month before this year’s Symposium. Many participants felt that last year’s 100 Year Starship Symposium was a bit unfocused, however. The organizers seemed to place more emphasize on the cultural and social aspects of the project than the technical aspects. A lot of money was spent on celebrities, expensive dinners and receptions, and elaborate staging. One of the more serious participants told us, “This is not what I thought DARPA was funding.” So, it is not too surprising that Icarus Interstellar appears to be going its own way. 100-Year Starship and Project Icarus have different goals. One aims at sending humans on an interstellar mission one day. The other is to send an uncrewed (precursor?) mission. In my view, the first one has to have a broader scope. That probably explains the need for the two separate events. Persoanlly, I wish I could attend both. It is unclear whether the 100 Year Starship Initiative intends to send humans. There were a lot of conflicting views at last year’s Symposium and not much of a central, organizing vision. It’s true that some of the attendees at last year’s symposium in Houston seemed to advocate an uncrewed mission as a goal. However, it seemed very clear to me that the purpose of the 100-Year Initiative, as it was that of the original DARPA charter and seed grant, was to advance the goal of sending humans into interstellar space. In fact, many of the papers presented dealt with the subject of humans in space for prolonged periods of time, including even multi-generational crews. Of course, whether that turns out to be a feasible, realizable goal remains to be seen.